Life is tough, we get it. Take the dog out for a walk - he finds a mud bath. We have found the answer! 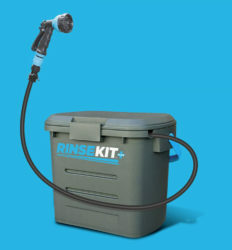 RinseKit is a compact, portable, pressurised 7.6 litre shower which will make your life a little bit easier. It also only takes about 20 seconds to fill up - what more can we say. 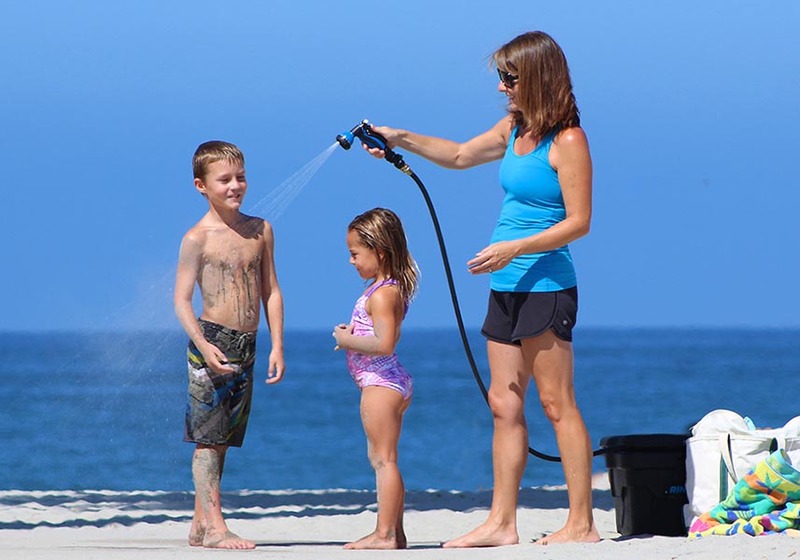 The revolutionary RinseKit is a portable, pressurized shower that’s like having a garden hose at the campsite, beach, or trail. 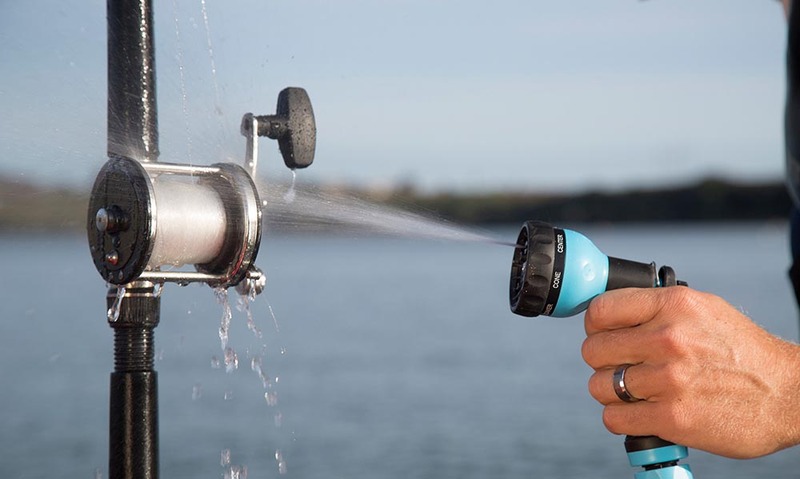 With no pumping, and no batteries, it fills in 20 seconds, storing the strength of a regular household spigot to deliver pressurised spray for up to four minutes. 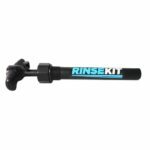 The only product of its kind, RinseKit’s patented design features the eon pressure system that holds up to 2 gallons (7.6 litres) of water with a spray nozzle that offers seven different settings from jet stream to soaking shower. 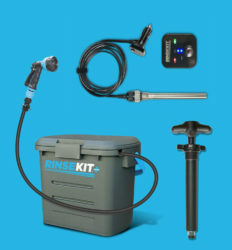 RinseKit simply connects to any pressurised water source via the hose spigot, and stores the pressurised water for later use on the go. 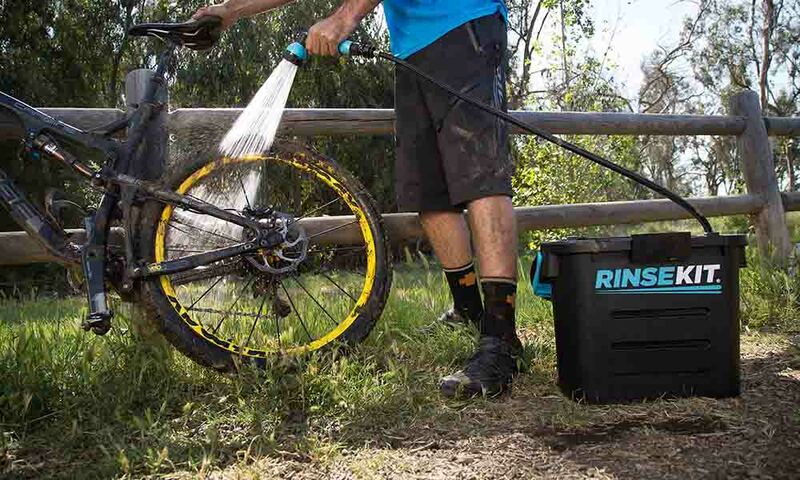 Introducing the new Rinsekit Plus – Ideal for Cape Town’s possible Drought Day Zero situation and much more. 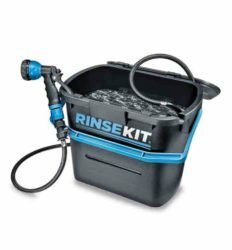 RinseKit Plus can be filled with hot or cold water from a non-pressurised source and then pressurised in the field with the new Rinsekit Hand Pump (Rinsekit Plus Bundle 1 available April/May 2018). 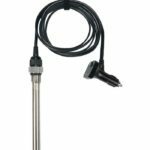 Rinsekit can also be heated using the new 12V Rinsekit Hot Rod Water Heater (Rinsekit Plus Bundle 2 available April/May 2018). Order know to avoid disappointment as stocks will be limited. 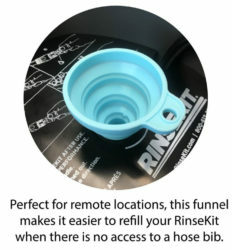 You can find directions on how to fill and drain your RinseKit printed on the top of the inside tray – just open the lid and there they are! 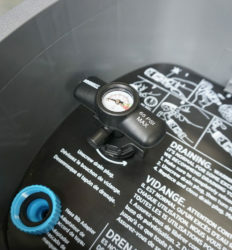 Do I have to pump it to get the pressure inside? No pumping is necessary when you fill it with a standard hose spigot. 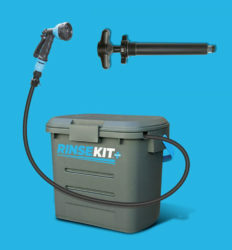 However, in the near future we will be offering the ‘Field Fill Kit’ which will allow you to fill the RinseKit with still water and quickly pressurize the system with a standard bike pump.